The latest issue of Modern Patchwork (Summer 2014) arrived yesterday with the return of my 3 little projects that are featured on its pages. The little projects were hot and sweaty because the dang UPS man NEVER knocks on the door when he drops a box on my front porch. When I found it, they were crying for a sip of water and some air conditioning. I opened the box, pulled them out and laid them on the spare bed to calm down. I found my two author issues inside and WOW! what a truly fabulous magazine! Hot off the press filled with awesome projects! 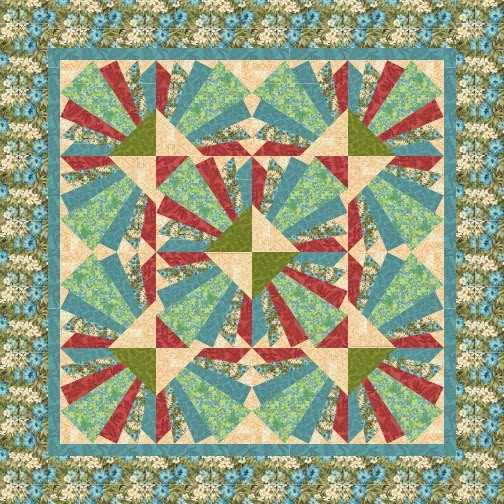 Buzz Saw (a Flirty 30 pattern) is one of my fun quilts using the Raj Collection from Windham Fabrics. Those are 12-1/2" wedges of fabric with my special method of adding the sharp blade tip. We had to use templates in the magazine, but my upcoming workshop (see the Georgia Quilting LIVE! schedule for September) includes the multi-sized template for my students. This is a 24" block, finishing to a 30" table topper. And what can you do with a charm pack and a 60 degree ruler? 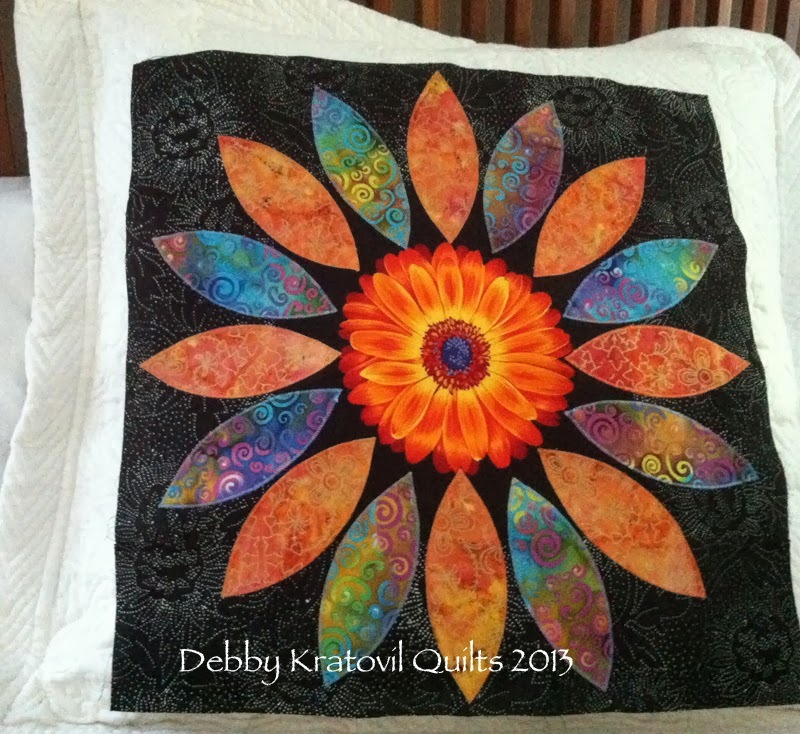 Facets of Color is another fun quilt that I made for the Kona Blog Hop a few months ago. This was created using a stack of 42 - 5" Charm Squares and a yard of Kona Snow. 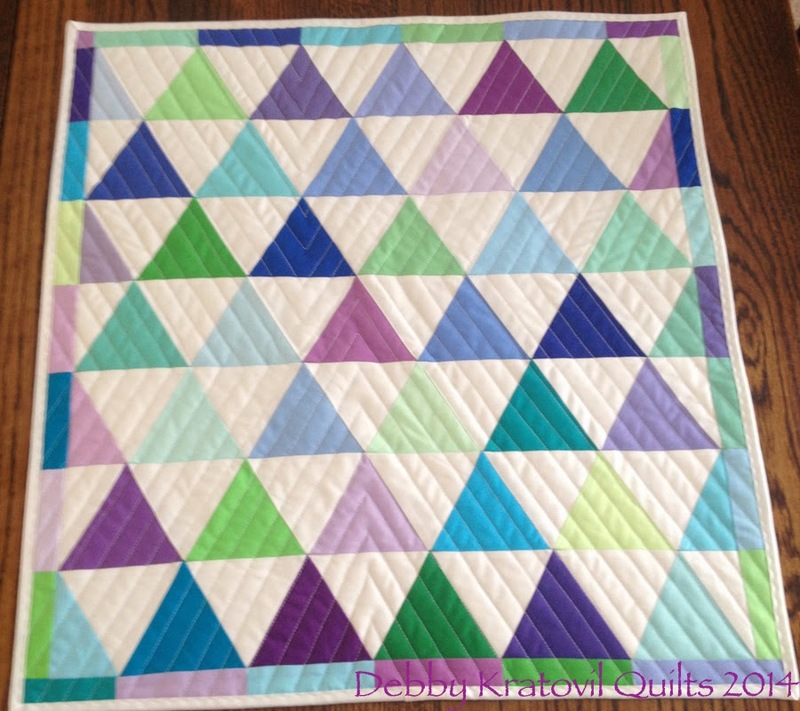 I squeezed the life out of the fabrics and then enjoyed using a walking foot on my trusty, faithful Bernina 1230 to quilt this following the triangle lines. More hexies . 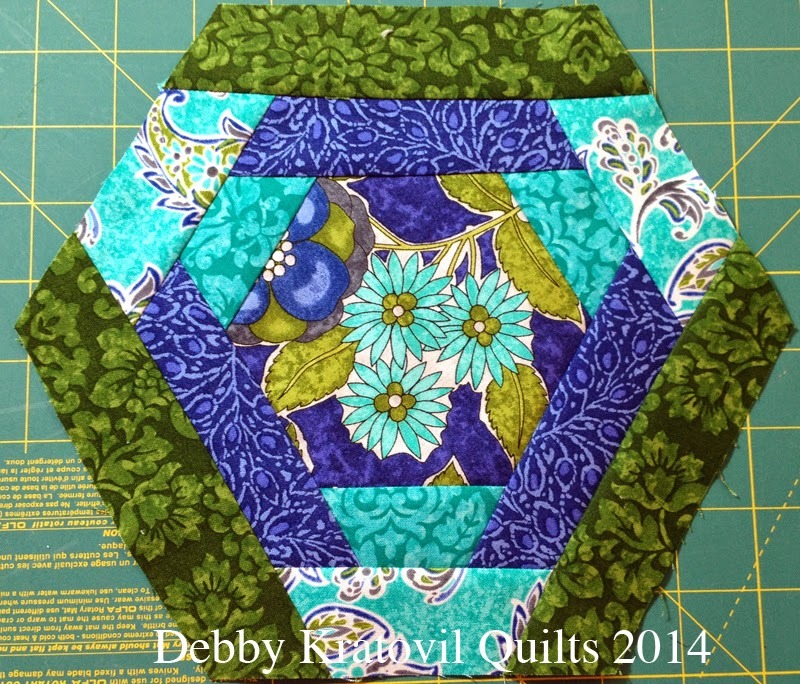 . .
English Paper Pieced hexagons - gotta love 'em! 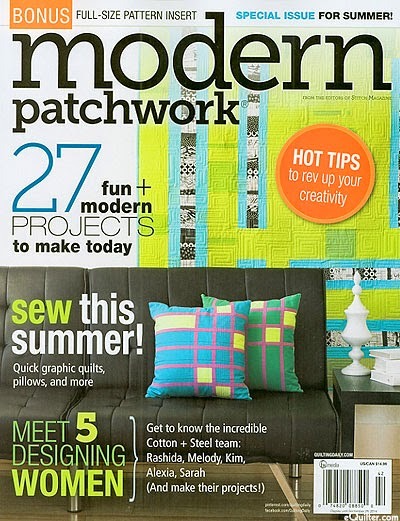 Modern Patchwork, Summer 2014, is on newsstands now. It is filled with all sorts of projects - for the home (pillows, quilts, aprons, etc) and for travel (purses, travel totes and carrying cases). Something for just about everyone. Did I start with cut hexagons? I started by squaring up the sides of six blocks. Then I didn't like what I would get. It was too boring and predictable. Here's one I made using some Honeystone Hill blenders, where I squared up the sides. And I am not happy with the small triangles on the sides. Good thing I only made one with the cream triangles. But I'm in the process of making about a dozen. Don't know how I'll arrange them; I think I'll let them tell me! 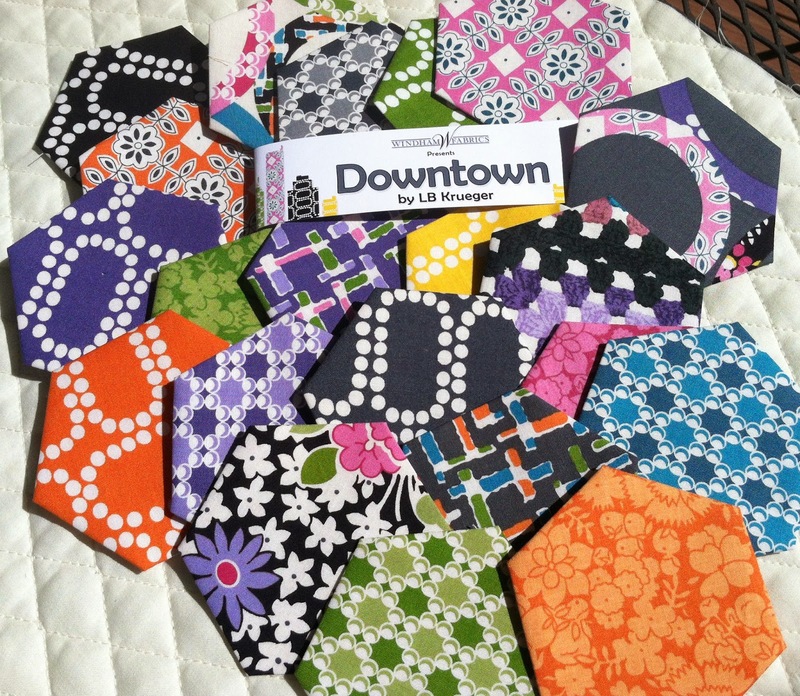 Like I said: I sewed four triangles onto 6 blocks - then I changed my mind. Rip, rip, rip. Not my favorite thing to do, but I know I had something better in mind. All straight seam sewing - honest! 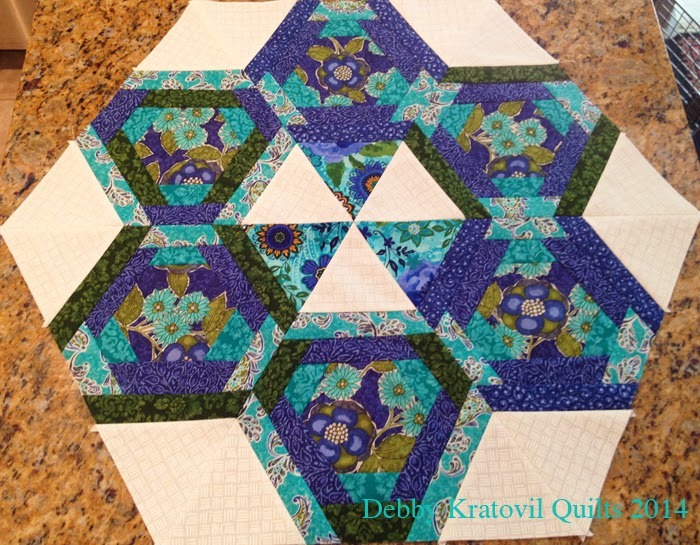 Each block is joined to 3 triangles (two white and one either white or blue floral). This is my new table topper (and a new pattern). Just needs to be quilted. It's about 18" high by 25" wide (I think). Hope to bind it in a stripe. 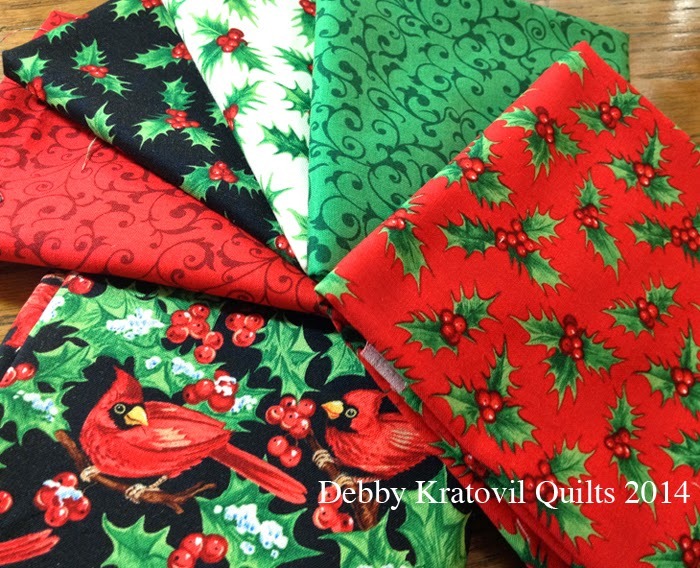 Yes, it's true: fabric companies release their holiday fabrics in the hot summer! But it is fun to play with such happy colors and to "see" a cardinal in the summer (which I tend to confuse with robins anyway). 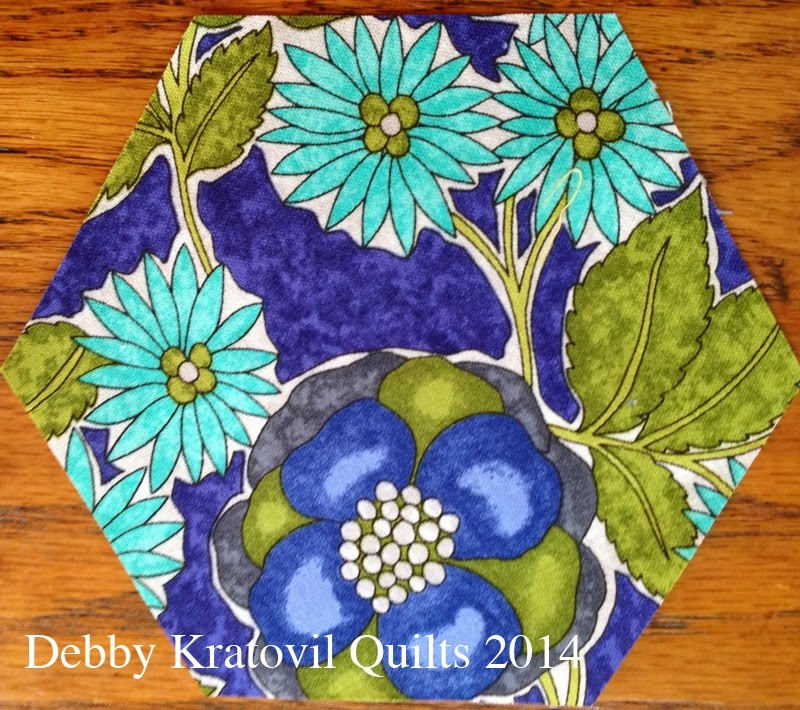 This Happy Hexie Table Runner is one of my new patterns with Cut Loose Press. 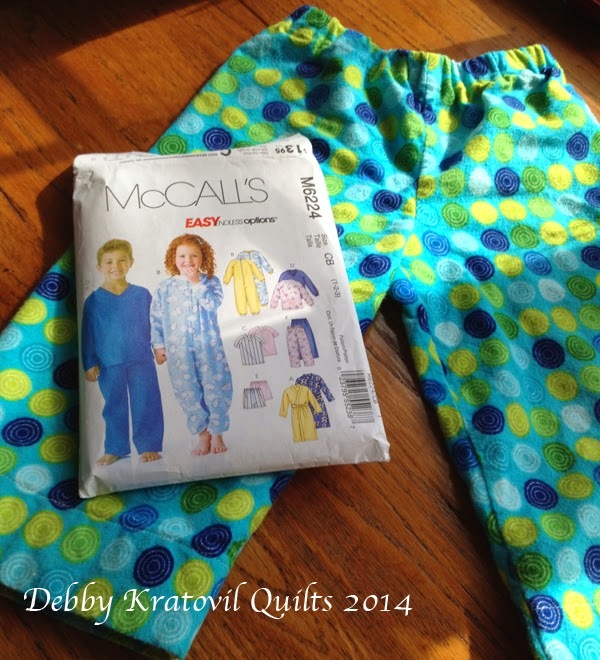 They are quilt shop exclusive and very affordable ($3.99)! Yes, can you believe it? I have sewn this table runner 6 times and I hope this is the last one! Now I just need to quilt it (hopefully, next week). 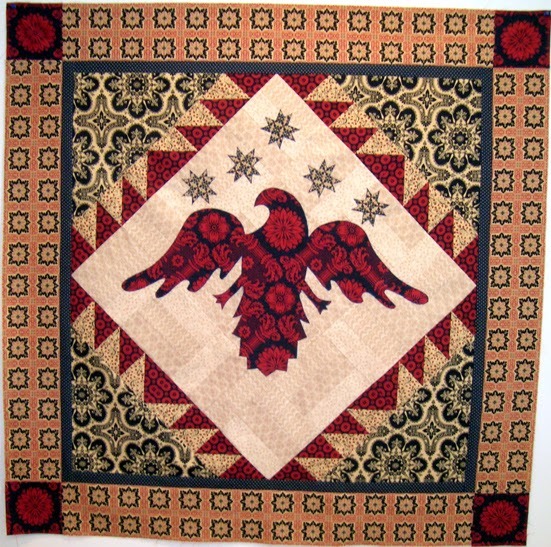 It is going on a trip to be displayed at an Open House for quilt shop owners. 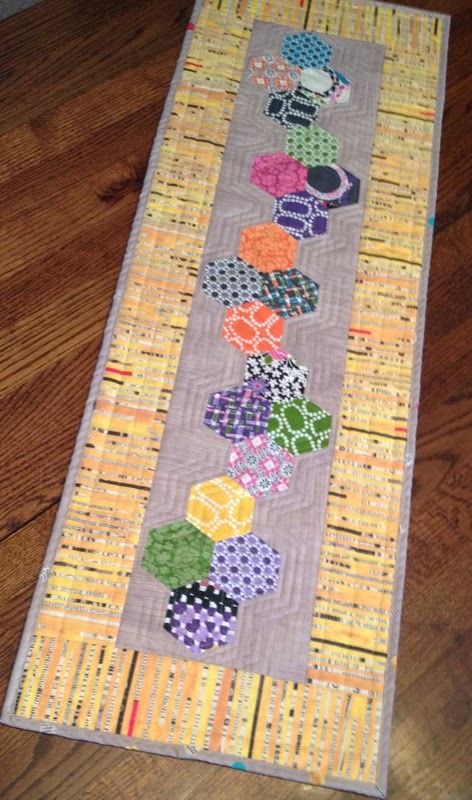 Happy Hexie Table Runner - 29" x 54"
Those hexagons are so easy to cut out using a 60 degree ruler. You really don't need a funky template. 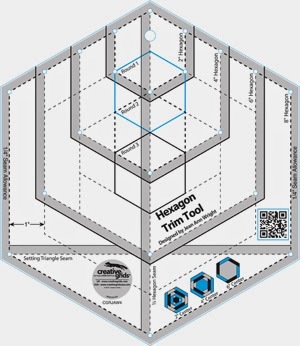 Those rulers can cut just about any size hexagon (and half-hexagons, 60 degree triangles, 60 degree diamonds, and even those 30 degree diamonds if you want to square up the sides). Truly, my favorite ruler - a work horse! Constitution Oak Pattern: 64" x 64"
Constitution Oak is a very old, traditional pattern. The appliques are large and easy. 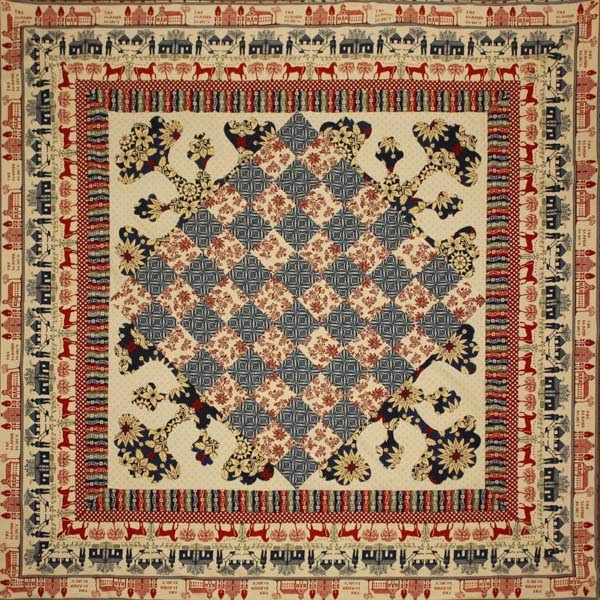 I designed this quilt several years ago for Windham Fabrics as a pattern to go along with their Farmer Fancy Collection in association with the National Museum of the American Coverlet. I visited this Museum a few years ago and was amazed at all the gorgeous antique coverlets they have hidden inside a rather dilapidated re-purposed elementary school. 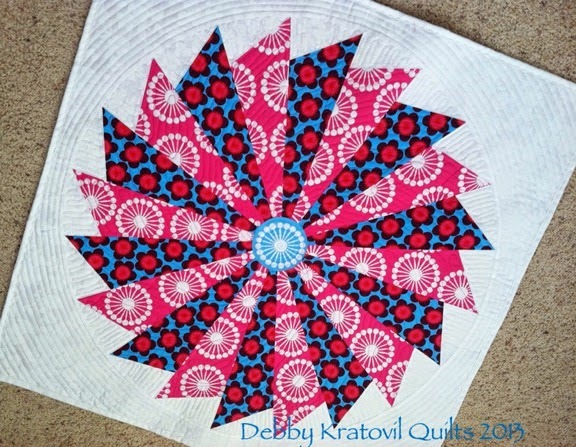 While you may not have any coverlets in your stash or find any to buy, it's easy enough to make this quilt using your favorite prints. Regal Eagle was picked up by a magazine a few years ago and then they went bankrupt and I was never paid (they published but couldn't honor their contracts). So, I made sure it was in my wall calendar. My nephew Blair saw it and told me how much he loved it. I promised him the quilt when he moves into his new apartment. This eagle had an identity crisis and needs to be in a loving home, don't you think?!! Hope you get inspired to make Constitution Oak! 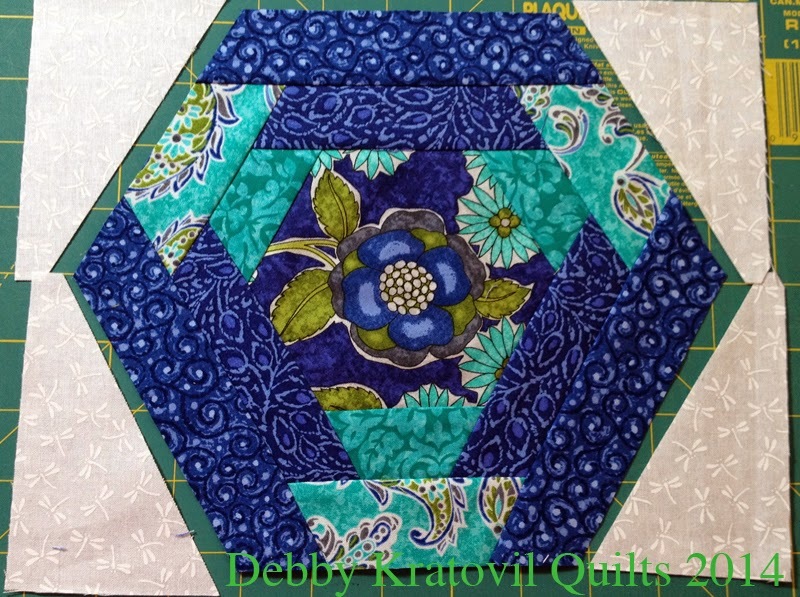 Today is Technique Tuesday at the Benartex blog (SewInLoveWithFabric). 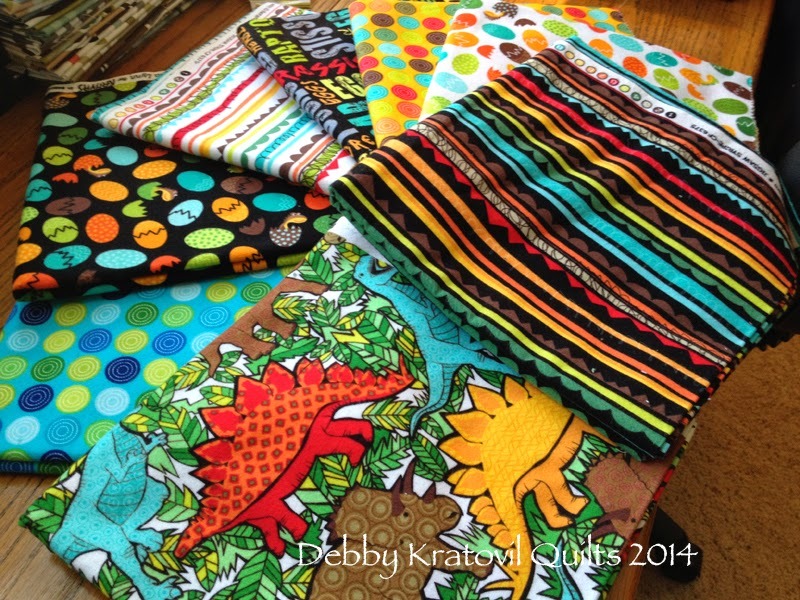 I took some of these bright fabrics and turned them into a few things for my grandsons. You can't have enough pajama bottoms! Check it out today. 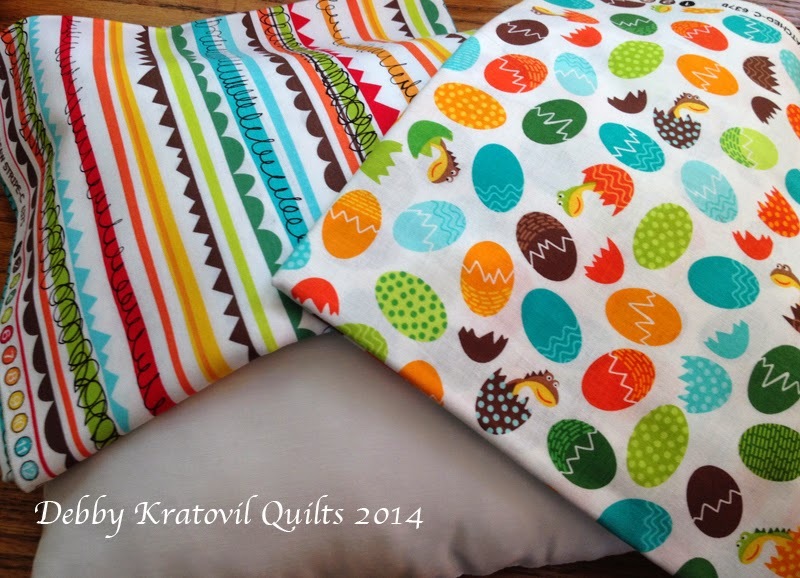 I show step by step directions (with pictures, of course) on how to make a pillowcase with almost NO raw edges. Neat tricks are easy and quick. Today, where I live (the DC area) it is rainy, gloomy, and muggy. I needed something to brighten up my surroundings. 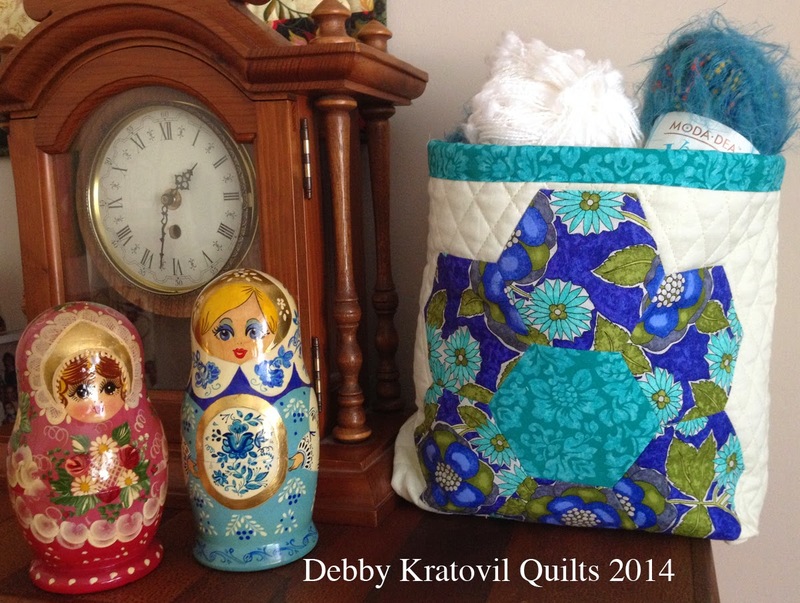 I turned to some happy quilts. When I taught classes in the Intown Quilters shop in Atlanta, there were so many wonderful fabrics by Lake House that begged to become happy quilts. This one almost made itself - the blooms just wanted to dance on that Spring-green background. I cut them out and fused them over those awesome striped stems and those pots? Guess what? They're half hexagons - oh, yes they are! This is on the cover of my 2014 wall calendar. I think it's the quilt for May (I lose track). But do you remember what else I did with these large flower motifs? I used the center leaf shaped template that's part of my EZ Double Wedding Ring pattern set. 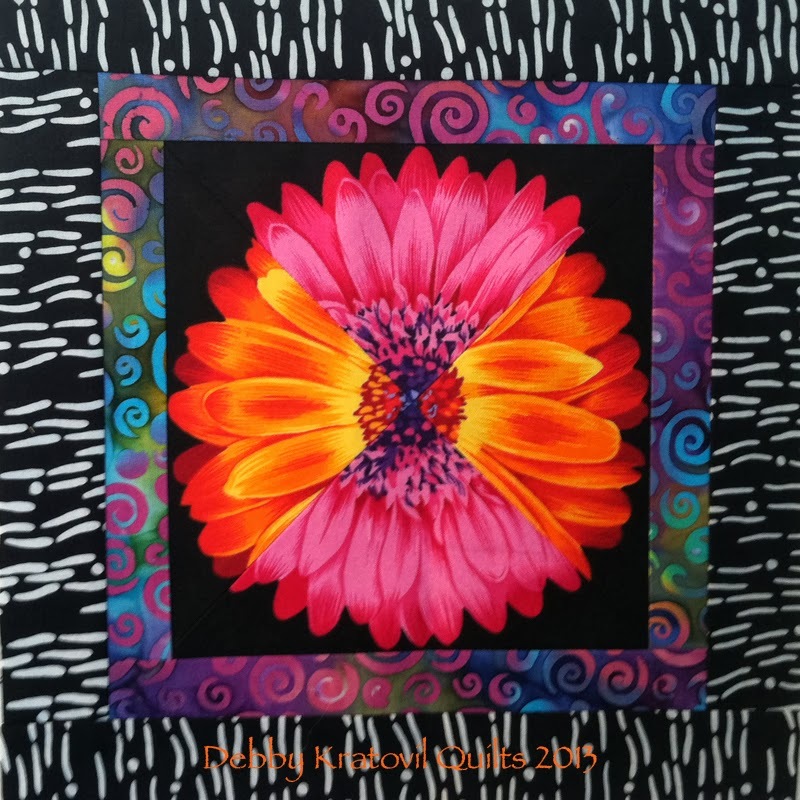 I cut out all those teardrop shapes and surrounded a bold bloom with a black/white batik. Fused, appliqued, done. That's my kind of block! And then I created one more project . . . uh, two? 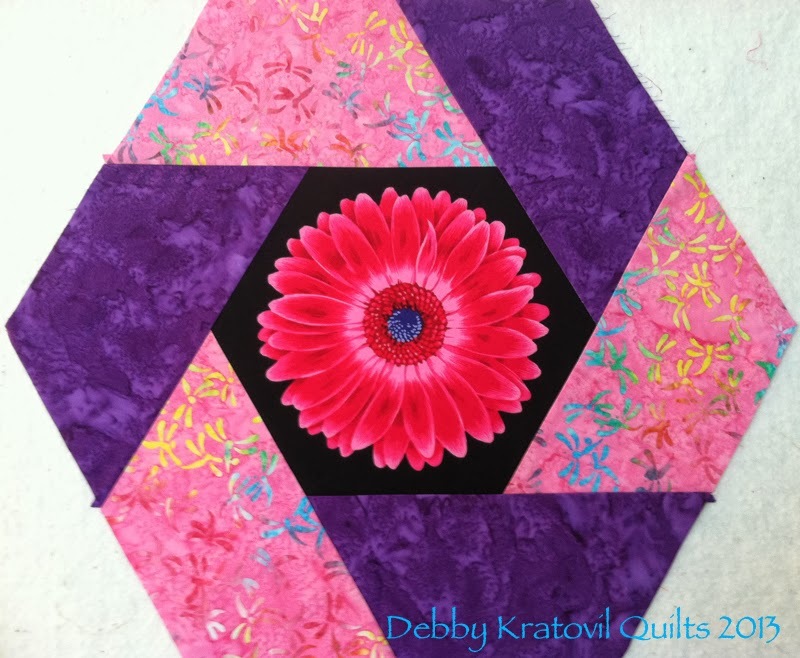 My Twisted Hexagon blocks - oh, so easy! I hope these brightened up your day. It's still raining, but I feel a little better having visited my happy quilts! Well, what happens when you make more than one block? Let me show you. (Sorry that the picture isn't as bright as a sunrise, but I think you get the idea). 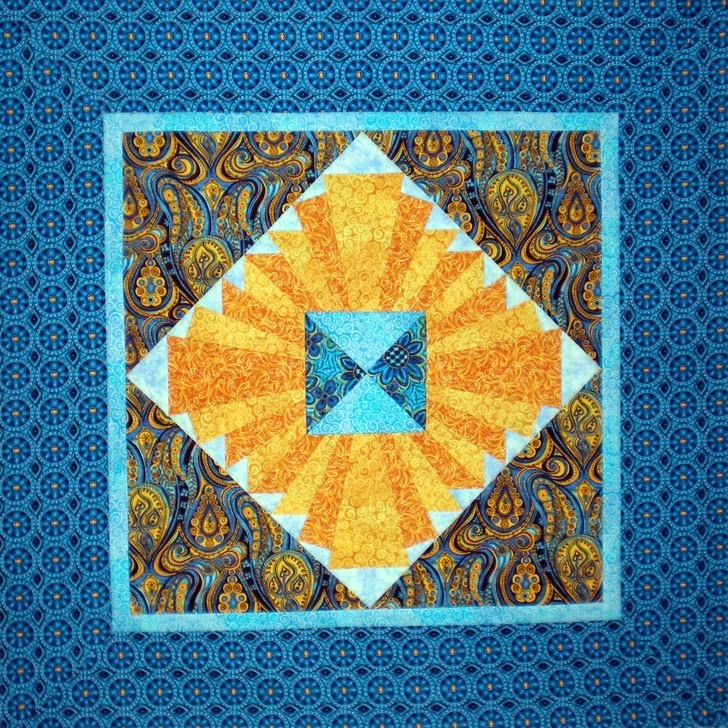 This quilt uses FOUR blocks, but because of the way I have turned 1/4 of each block, it creates the illusion of FIVE blocks. Neat trick, huh? And will you look at those stripes! 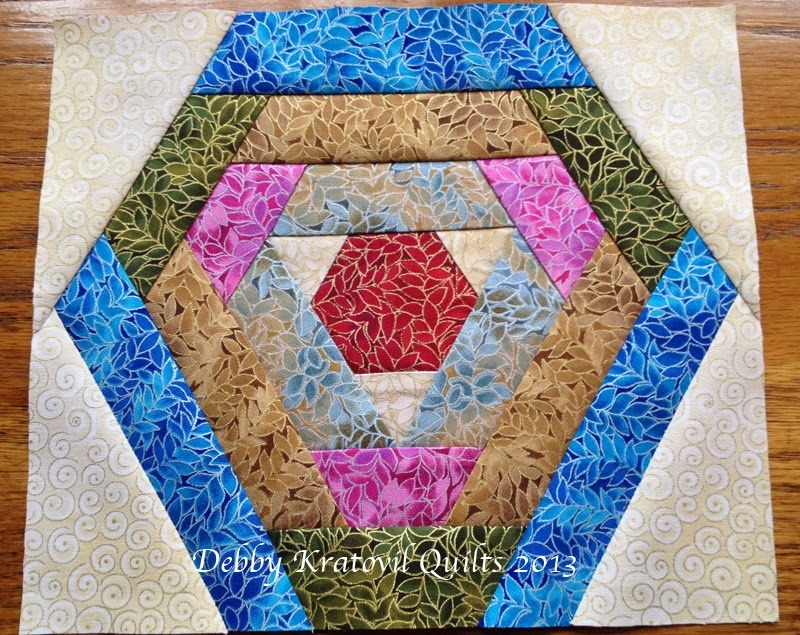 Four blocks become five - I sewed until I ran out of fabric! Anyway, I am very excited to visit this guild. The dog is NOT happy because she sees that red suitcase sitting in my living room and is nervous. But "dad" is staying home, so she doesn't have to get in the car and go to "Spa Webb", the folks who pamper her when we both are away. 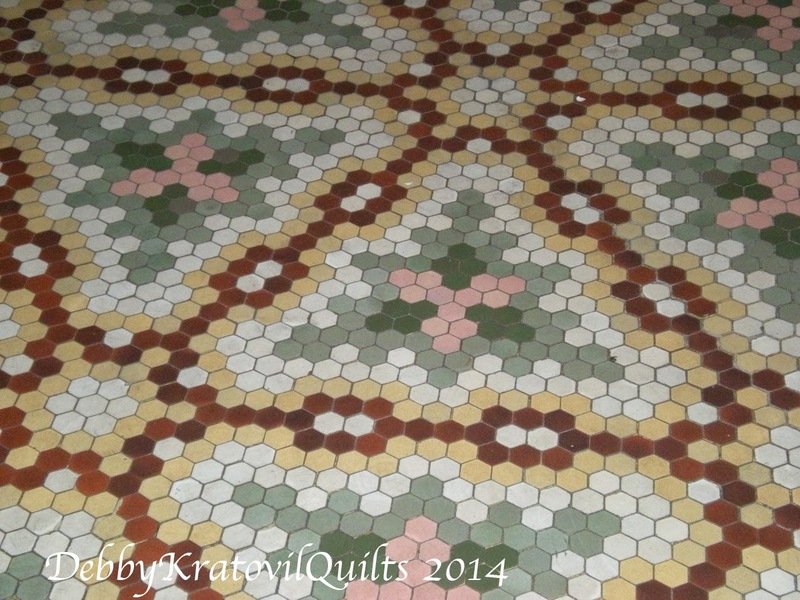 I began redrafting historic quilt blocks from the 1930s over 15 years ago when I was an editor for a quilt magazine. I came into contact with Dorothy Mae Groves of Kansas City who sent me photocopied pages of several series quilts that had been published in the Kansas City Star and other midwest newspapers. These were photocopies of the original newsprint pages and were primitive at best (though the drawings were clear). I took out my trusty pen tool in Adobe Illustrator and began computer drawing every one of those images! 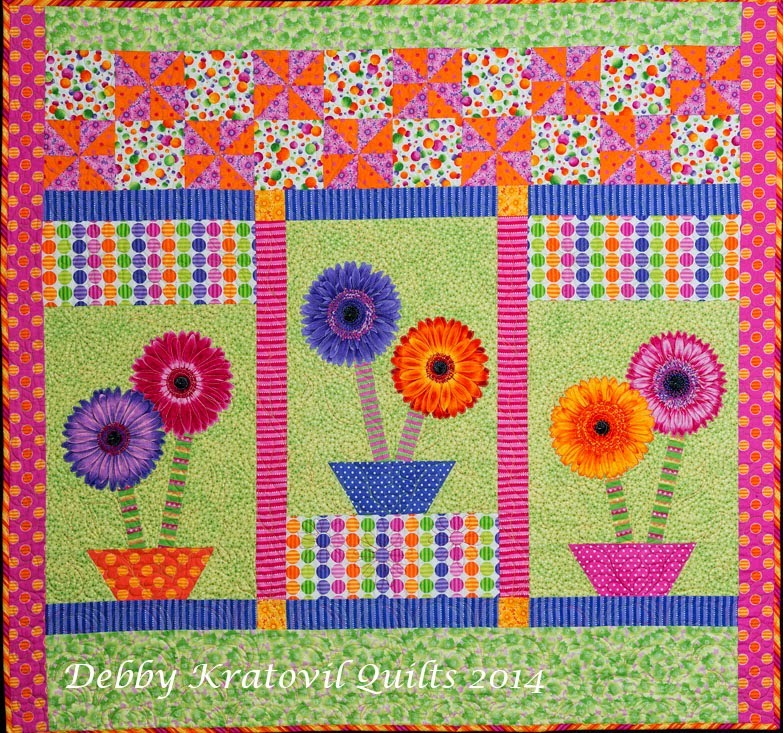 This series, the Garden Bouquet, was designed by Florence LaGanke and was part of a fictional Nancy Page Quilt Club and each new block was accompanied by quite a bit of chatty interaction by the club members! This series appeared in the Detroit News, 1931. There are 20 flower blocks, each with an urn and two birds as seen above. The quilt at the top of this page is my own using 5 of those blocks. 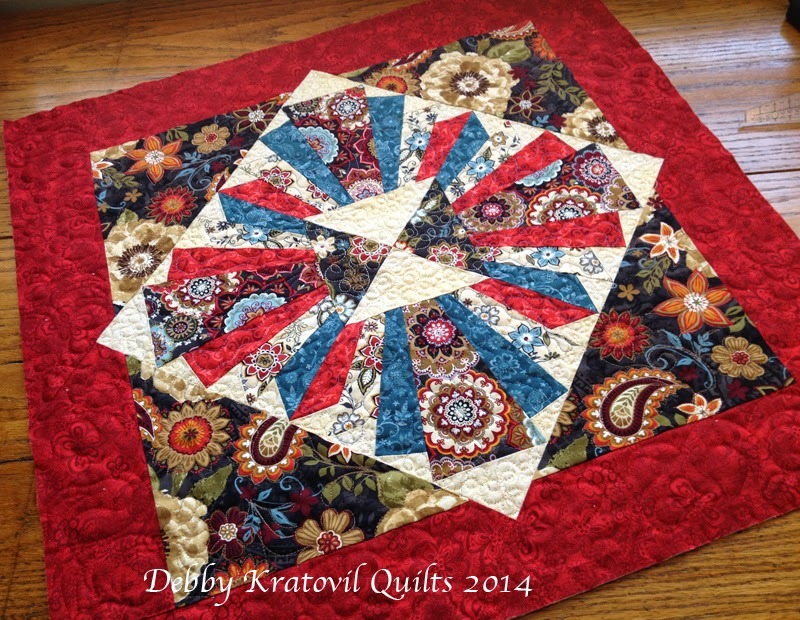 I agonized over a border and then decided on none - using only red binding to finish it up. 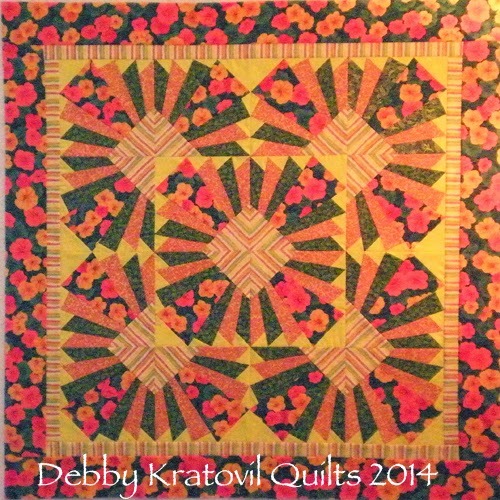 It is one of my favorite quilts. 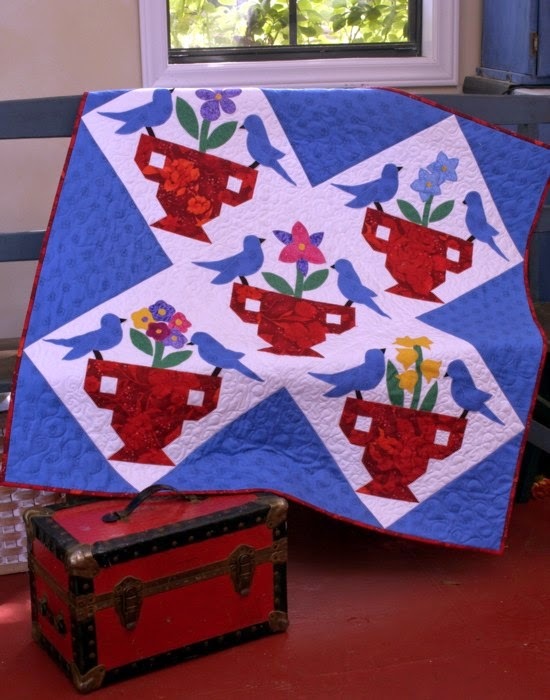 I used to bundle these on CD with full size templates for each flower, bird, urn (simplified using a single applique patch) and directions for the full quilt and my own 5 block quilt. But then I got smart and now offer it at my Craftsy site for a full downloadable 55 page pdf. Same price for 12 years: $10. Hope you enjoyed my blast from the past. I think I might share some images from the other sets I have: Memory Bouquet, Laurel Wreath, The Toy Quilt, Roly Poly Quilt. What do you think? The location of the floor doesn't matter. 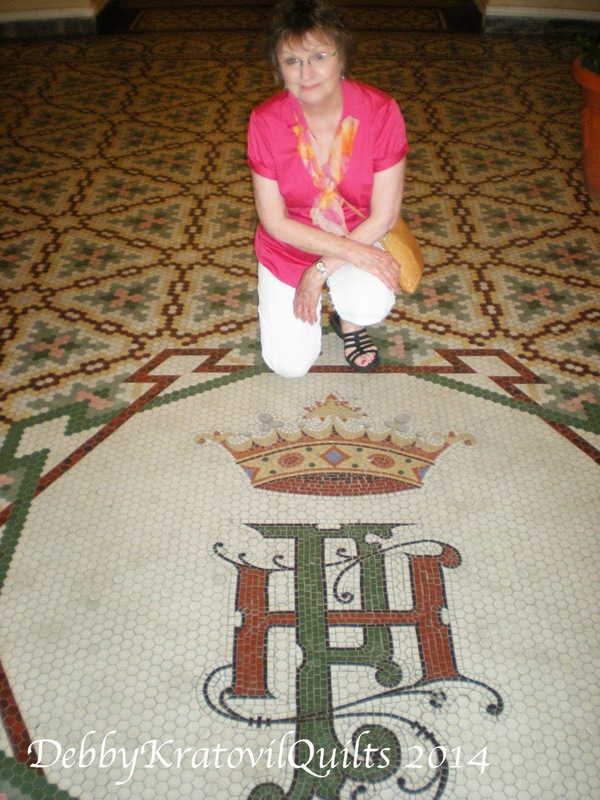 What I found amazing was to see the HUGE floor in the hotel lobby covered in this intricate pattern. You know how much I love hexagons. 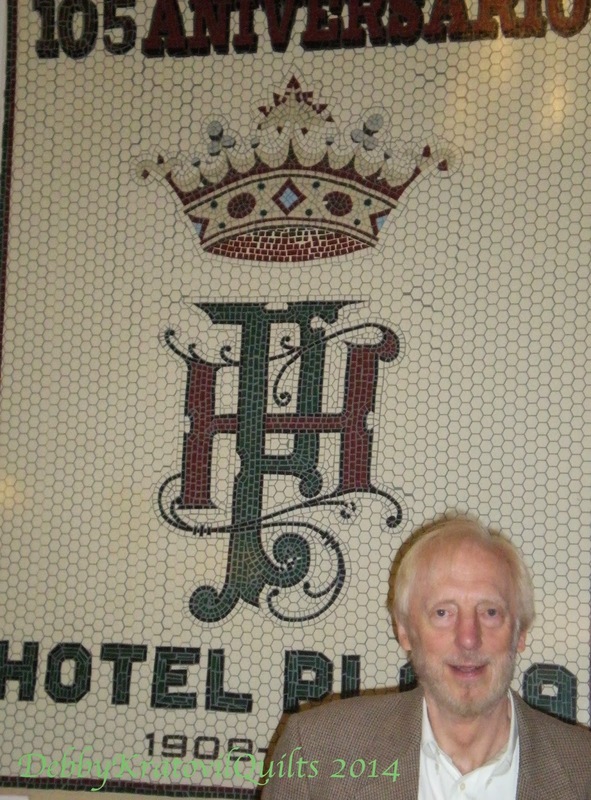 This design is even older than the hotel (100+ years). Yes, I was here. Old Spain left a lot of beauty. This was the beginning of my trip, before I sweat bullets walking the streets. I wonder how many tiles are in that floor? And to think they probably cut out each hexagon by hand. Where were their hexagon rulers, huh? Oh, yes. There was even a wall sign created using these hexagons. The "old" man in the picture is my first husband, who was as tired, hot and sweaty as I was. Hexagons on the wall, too! That's it. 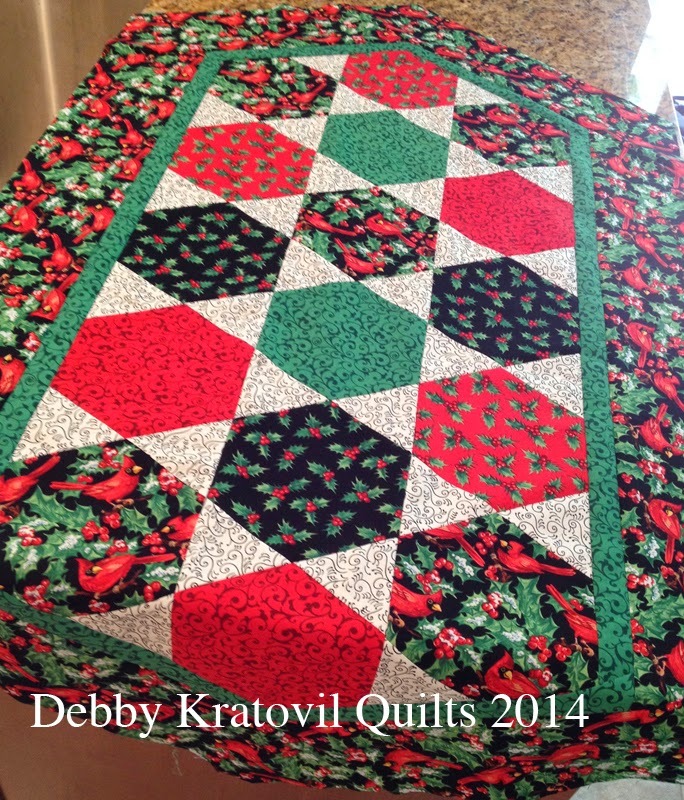 I only blog about quilt-related matters. Hope you enjoyed another version of hexagons. They are timeless!